Technology has made things easier over the period of the last decade. From shopping to dating, everything is now made available online. The same change has been brought to the field of education where there are thousands of courses from various universities over the world being imparted online. 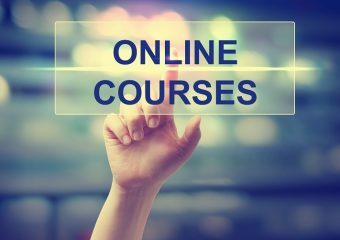 Whether you want to learn to play a guitar or comprehend the intricate subject of mathematics, you can find a hundred of free online courses suitable for you. But the question here arises; are these online courses equally valuable and comprehensive as those conducted in the traditional colleges and universities? Well, there is no way that one can say no to this. This is because of the fact that almost all colleges and schools from various parts of the world, including the famed ones, carry out as part of their course curriculum online and these online courses and equally important and accepted. Then why is the degree? The confusion and uncertainty arises as there are numerous fraud agencies online that impart various courses for the interested candidates that practically has no value. Why is it so? Well, this happens due to the fact that these agencies or institutions, as they prefer to call themselves, are not accredited to any standardized educational authority. This means that they are not legally allowed to impart a certain course for a degree or a certificate and any degree that you obtain from such institutions is totally meaningless. So, it is not the online courses that are useless but degrees from unauthorized organizations are futile. This initiates the idea that you need to research well before you apply for a course at a particular institute. Not only courses from standalone institutes can be invalid but also certain courses from regular schools and colleges can be useless if they are not approved for providing the certain courses. That is why, it is particularly important that you check out if the course being provided by a college, school or institution is accredited or you may lose out on your valuable time and money without any significant result at all. It is also important for you to check if the faculty roster at the institute is at par with the other quality institutions and the course curriculum that they are offering is comprehensive and suited to your needs. It has been often seen that sometimes the curriculum varies widely from one institute to the other in broad areas of study and if you do not check well in advance, you may end up with some knowledge and experience that may not be as useful to you as it should have been. To summarize, online courses hold equal importance for people who cannot attend a regular college or school, provided that the course and the institute is chosen after a close scrutiny. They can get you good jobs, enhance your career prospects and amass knowledge if you are thirsty for it. Research well and get enrolled today for a better future at your convenience.